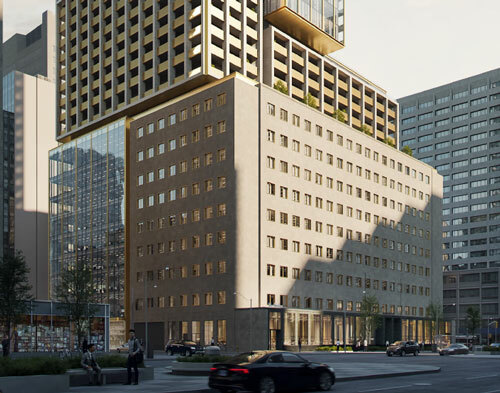 The United BLDG Condos is coming to the centric intersection of Dundas Street and University Avenue. 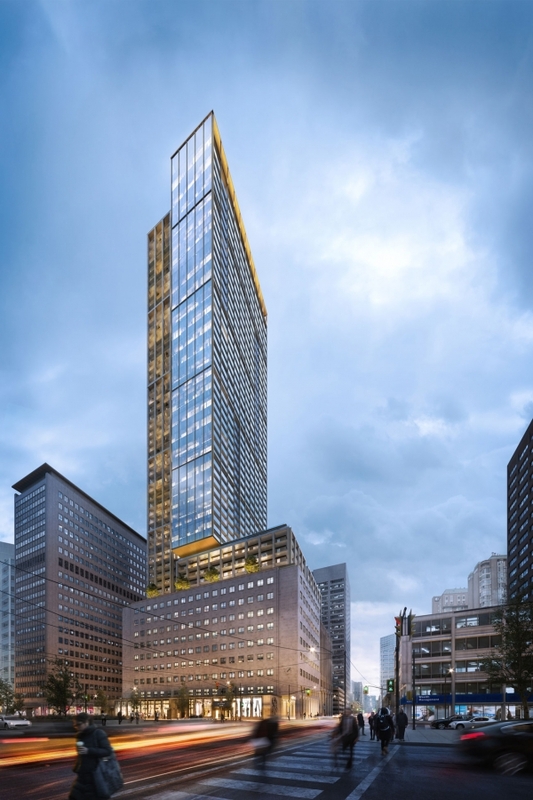 This landmark project by Davpart is designed by B+H Architects. 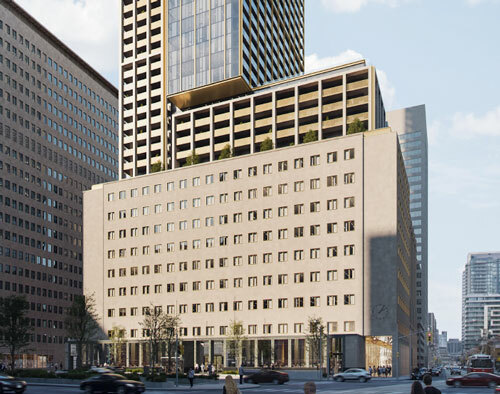 This stunning 55-storey high-rise will be in the absolute city centre and directly connected to the subway. 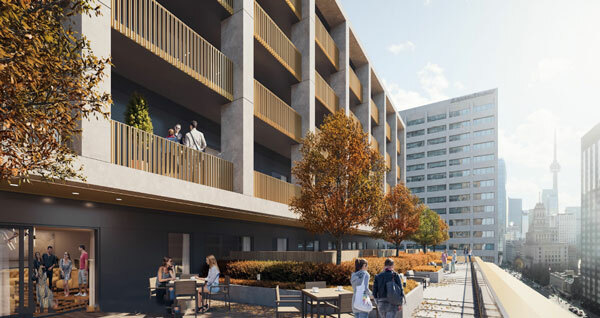 ERA Architects are also on board to help preserve and integrate the nine and ten storey heritage buildings. 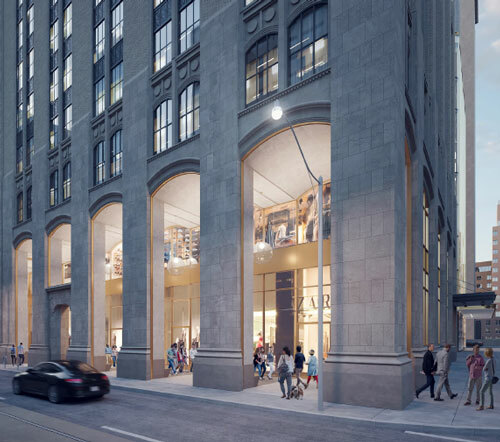 The grade level will house new retail and commercial space, fitting to the University Avenue stretch. Suites start at 300sqft studios to over 1500sqft 3 bedroom plus dens! 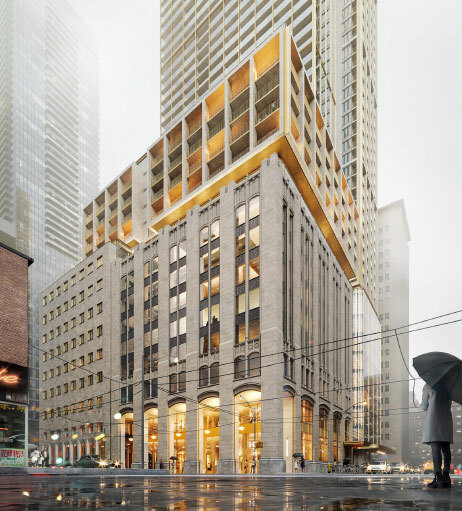 Those looking to invest or live in Toronto’s downtown core will love how connected The United BLDG Condos are. 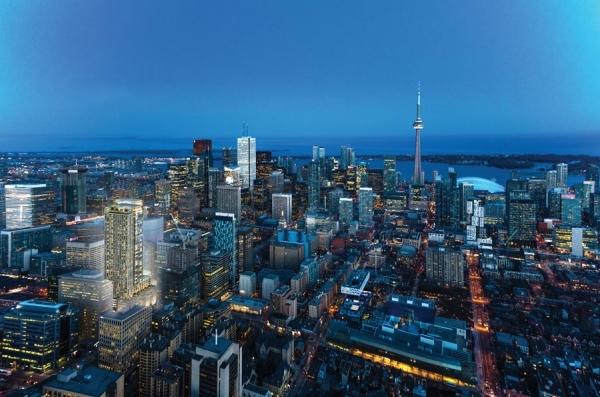 Minutes to Yonge&Dundas Square, The Art Gallery of Ontario, The Financial District, Discovery District, and the Entertainment District to name a few. 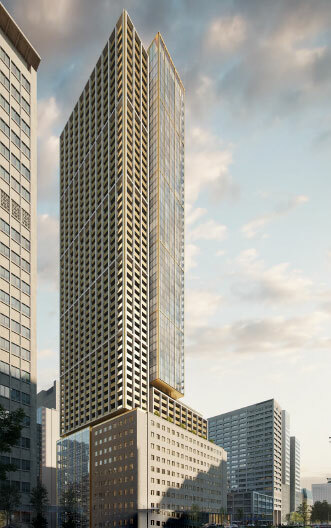 If that’s not enough, The United BLDG Condos has an array of luxury amenities for its residents. An indoor/outdoor pool with a fireplace inside, lounge with fire pits outside; a yoga deck and fitness centre; sports lounge with billiards; golf simulator and video gaming lounge; co-working space and party room with dining area, and so many more. You’ll love living at The United BLDG Condos.